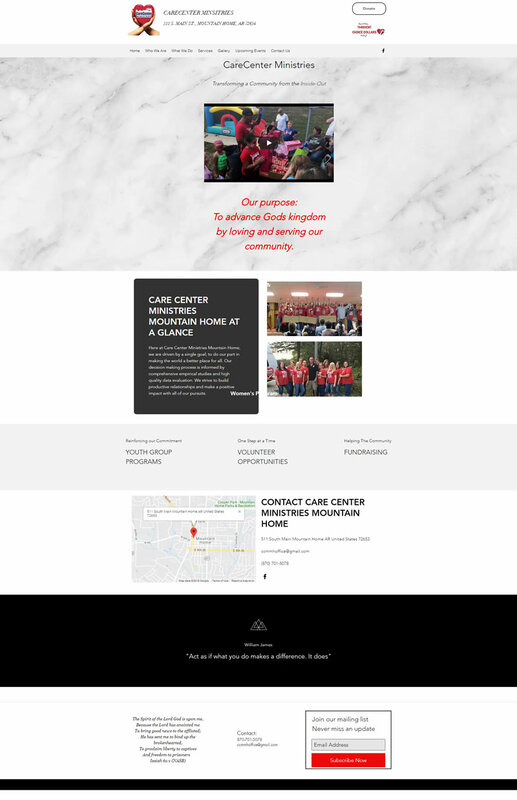 We worked with CareCenter Ministries Mountain Home to create a mobile-friendly and responsive website for the growing ministry. 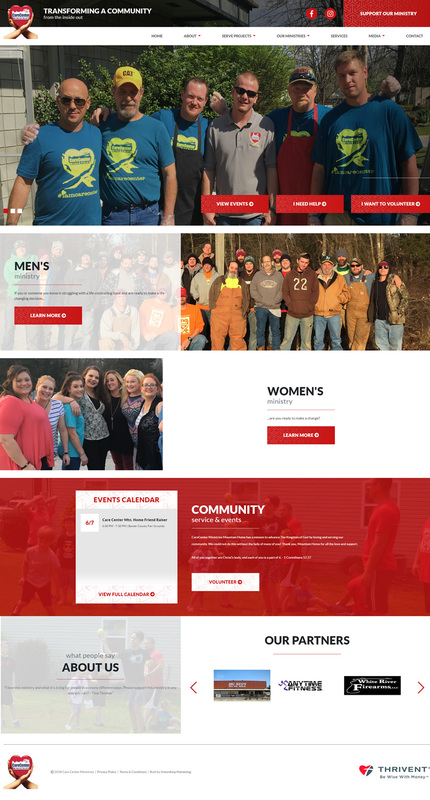 On the new site, visitors can easily discover more about the local ministry and the many services they offer. In addition to the clean top menu, the homepage also includes call-to-action buttons to help visitors to the site quickly get help, volunteer, and even make a donation. Large images and videos also help visitors to get a better sense of the what the ministry is all about. CareCenter Ministries Mountain Home is a multi-faceted organization that impacts the community in many different ways. It is a 501c3 organization and is completely privately funded. They offer several types of services as part of their overall ministry to the community including a men’s home, a women’s home, and even programs for the youth.